A light and fluffy meringue-based dessert with a gooey marshmallow-like centre, this sumptuous treat is a melt-in-your mouth Aussie favourite. Topped with freshly whipped cream and your choice of tangy fruits or crumbled chocolate, this sweetest of desserts will quickly become a family favourite. 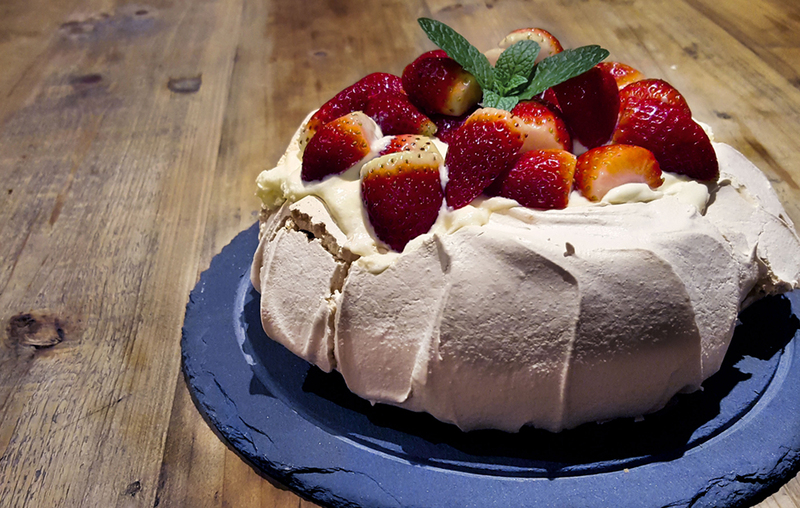 Prepare one day ahead as the pavlova needs to cool overnight. Heat oven to 300°F and line a tray with parchment paper. between, until sugar is fully dissolved. Remove from mixer and fold in vinegar and vanilla with a metal spoon. the pavlova to cool overnight. chocolate of your choice before serving.